At a recent visit to The Lyceum in Vancouver, one of the Book Bandits asked me, "Is Waby's Bunny Jim real?" Which is a very good question. Especially when it comes to stuffy rabbits of the "Velveteen" variety. Sorting out what's real, and what only happened in my imagination is some of the best fun of sharing Mimi. 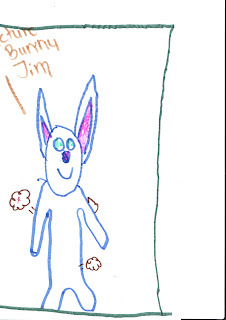 Well, to start, Bunny Jim was clearly real enough to another Bandit, Harnoor, who drew the picture above, and just like Marc Mongeau, made him come to life. 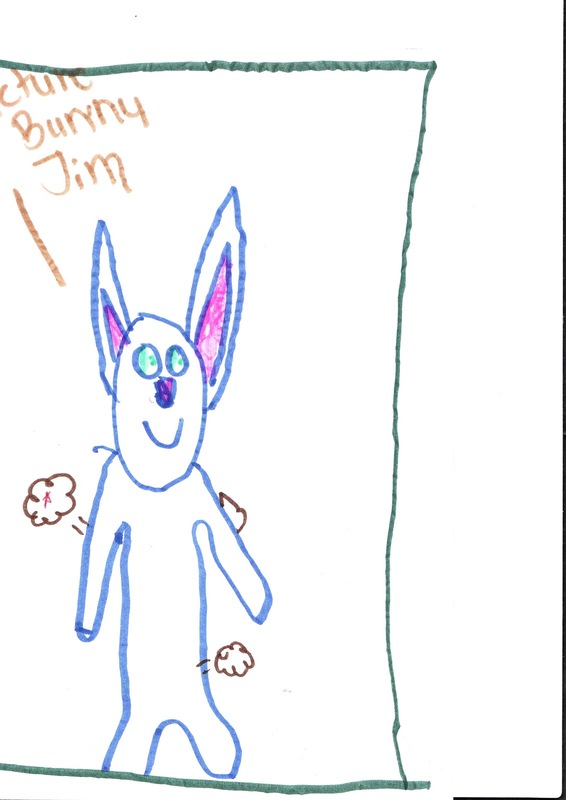 But truth be told, Bunny Jim (who's name is play on the Sunny Jim peanut butter we had in our house growing up) is "Teddy", a fine brown bear stuffy, who was waiting in Waby's crib for her to be born, and has only ever accidentally (and briefly, thank heavens!) been parted from her in the eight years since.